You’ve surfed the Web, flexed your departure dates, found all the best deals, and booked your cruise at a discount price. Want to save more money? Use these seven tips to stretch your vacation funds. Now that your cruise plans are finalized, start by reading the fine print (assuming you did not do so prior to purchase!). Are gratuities for cabin stewards and dining staff automatically added to your bill? What are the rules for bringing alcoholic and non-alcoholic beverages on board? Will there be a ‘corkage’ fee for the adult libations you carry on with you? What are the details for restaurant packages? Do the maths for all the answers to calculate the most economical plans for your cruise. There are several ways to book shore excursions, including travel agents, cruise lines, or on your own. For the first two options, you get to relax as someone else does the planning – and you pay a premium for it. For example, booking through the cruise line for activities in port can cost up to twice as much as planning on your own. To save money, have a family seek-and-find online contest to find out what’s available at each port of call on your cruise. Then, plan and book ahead of time with local (read reputable) companies for the adventures. To prepay for liquids, or not to prepay? There are as many opinions about this (potentially) money-saving strategy as there are cruisers! Why? It depends on your drinking habits – alcoholic and non-alcoholic. 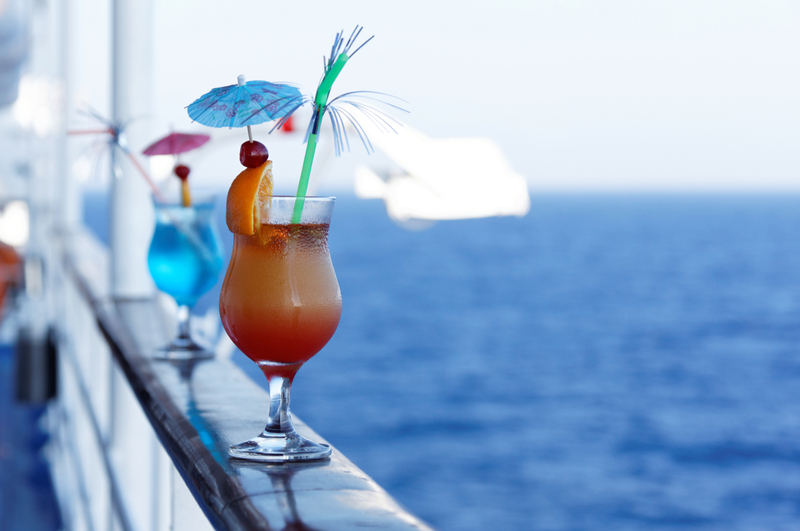 Most cruise lines offer various forms of price-per-day drink packages. For example, you can pre-purchase a bottled water plan, a soda plan, a variety pack, and/or an adult beverage plan for set fees. Some offer unlimited consumption, and others have daily and/or meal limits on the number of beverages. Certain cruise lines expect everyone in the same cabin to purchase a package (to prevent sharing). 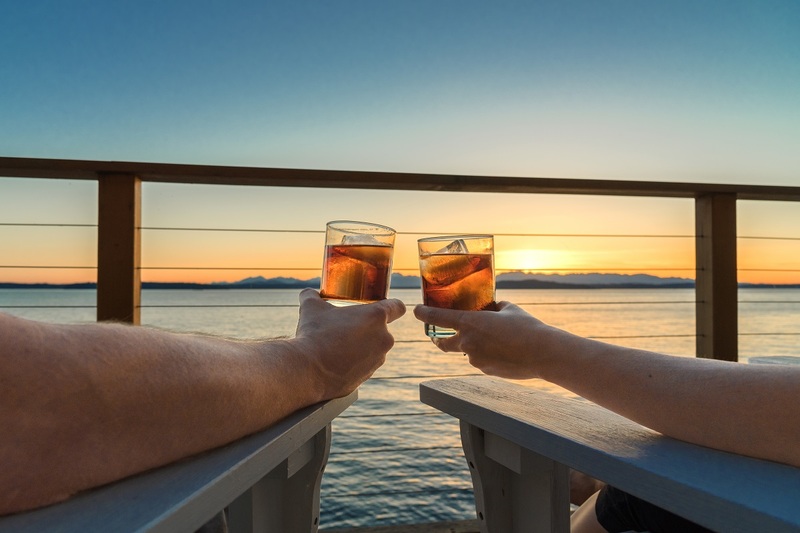 Check the details before purchasing, including whether gratuities are included, and simply calculate to see if a drink package is right for you. A particularly popular ‘luxury’ on cruise vacations is to indulge in a spa massage. You will be bombarded with opportunities to schedule an appointment. A massage is probably NOT part of your ‘all inclusive’ perks. The money-saving strategy here is to book an appointment while your ship is docked in a port of call. Also, the cost is cheaper on embarkation and debarkation days for most cruise lines. Be aware that the spa session will likely be followed by a pitch to buy that lovely, aromatic lotion you’re now wearing on your shoulders. Keep in mind that these products are often available online for a significantly cheaper price. Nothing is quite as shocking as discovering thirty days after coming home from the best cruise vacation ever that you owe the cell phone company your first born child! While you may snap and post, login and surf, upload and download throughout every day on land, the open ocean is priced at a different rate – high. As of today, the only more expensive cell phone roaming would likely be from outer space. To address this, some cruise lines offer Internet access and Wi-Fi; but it’s also priced at a premium. If you can’t be off the grid for a few days, turn-off your devices on the ship, and turn them on in ports of call. You may be able to grab a hotspot and get Internet access for free, or considerably less. Lastly, learn more tips for saving money on your cruise from the insiders – the ship’s crew. They know the delicious, affordable, non-touristy restaurants in port; where to find cheap Wi-Fi; respectable businesses for your impromptu bike tour or snorkelling trip; and where to find the deals for souvenir shopping. Even though gratuities are likely included, these bits of information are a fair exchange for some of your folding bills since they will save you money during your cruise. Enchanted with the majesty and magic of cruise vacations, Angela is a professional freelance travel writer and published indie author – AngelaMinor.com.